L.K. 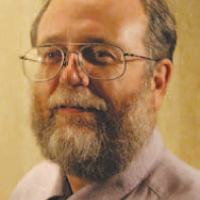 Samuels is the editor and contributing author of Facets of Liberty: A Libertarian Primer, first published in 1985. His new book, In Defense of Chaos: The Chaology of Politics, Economics and Human Action, was published in 2013. All of his books are available at www.lksamuels.com. I have been involved in the libertarian movement since the early 1970s, especially after conducting an interview of Robert LeFevre for my college newspaper. See my wikipedia page for L.K. Samuels. I hope to created an awareness for social chaology and illustrate its contribution to liberty. Camping in the outback and soaking in community-created hot springs. This user hasn't posted any comments yet. Can Advocates of Violence (Like Che) Become Icons for Peace?